Blues Trust is to be commended for arranging a time to talk things over with anyone who wants to turn up at the George on Saturday.1 Not all fans will commend them, of course, but it’s hard to think of anything that all Blues fans would agree on. However, I think there is one thing that most fans would agree on: most are unhappy with the present situation and feel it’s time for a change of ownership. It would be great if different groups of fans could agree on a short statement expressing this view, a hashtag based on the statement and a logo. My hope is that the people talking it over won’t get sidetracked onto to talking about all the things they don’t agree on. Those kinds of discussions go round in circles and are useless. I also hope that none of the supporters groups will try to control everything. If an individual or group does something to help the cause then others should publicise what they’ve done rather than trying to duplicate and claim the credit. Here’s an example of what I’m talking about. Blues Trust submitted an application to have St Andrew’s listed as an Asset of Community Value (ACV)2 and reported when the Council did not reach a decision on it within eight weeks.3 Daniel then published an article4 on Often Partisan, giving information on what fans can do about this delay and provided a link to Councillors contact details. 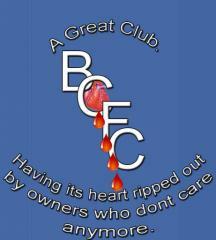 Blues Trust provided links to this OP article on Twitter and Facebook. That’s an example of cooperation not duplication with the trust doing the application, the sort of thing it is set up to do, and Daniel using his ability to write articles quickly. I’m not sure if I’ll be able to get to the George tomorrow but I hope the conversation is cordial and that it gives rise to something good. Asset of Community Value Delay: What Can We Do? This entry was posted in Birmingham City FC, Blues Trust, Football and tagged Birmingham City F.C., Blues Trust, Football, Small Heath Alliance on September 6, 2013 by Puddleglum.